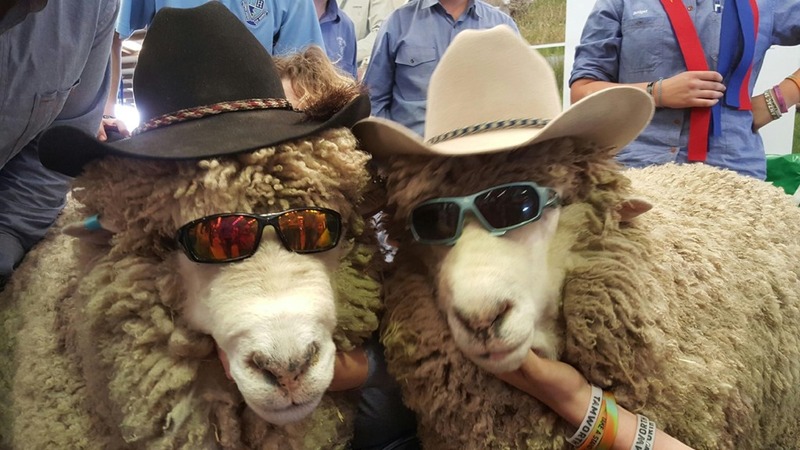 Shaggy and King, two rams exhibited by the Lithgow High School, chilling out at the Dubbo Show. We enjoy the students at the Show, they put in a lot of effort and enthusiasm both with their own sheep and helping us oldies with ours. 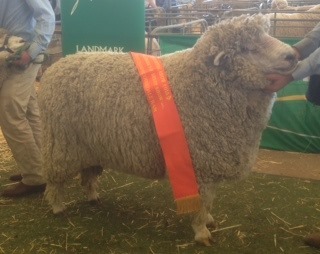 They and St Gregory’s Campbelltown compete in the school sheep section and then Trinity College Goulburn, besides holding sheep in the classes, join in the handlers and paraders and the Junior judging competition. 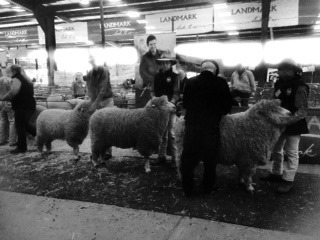 Here are Gonzalez, Frisco and Ellsworth competing for Grand Champion Woolly Ram! 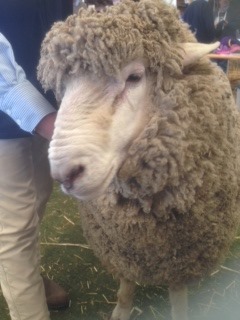 The Dubbo Sheep Show was last weekend and nothing to do with books. 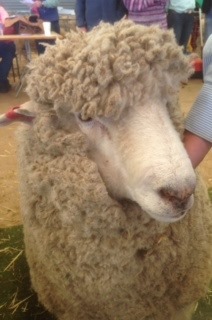 Our sheep were amazing. We took four, Gringo and Gonzalez, in the lamb class, Frisco a year older, and Ellsworth in the two years and older class. Honestly, I’m sure they love it, the show. And I can’t help myself. They did brilliantly. Gonzalez won his class, Frisco won his class and Ellsworth won his and got to be the Supreme Corriedale of the Show for 2015. You would have to agree they deserved it. There is a totally new scene when I look out the window, a different tree,an unfamiliar horizon. Two Rosellas straight off the Arnotts biscuit tin lid – not my usual bright blue and red parrots – sitting on the fence busily discussing the new inhabitants. Sunsets take on a totally different aura exploding in the sky with spectacular masses of orange. There are new grasses to learn about, new species of trees that grow here, I have discovered what a Kurrajong is. Our sheep treat it like Mars bars and can’t pass by without reaching up for the leaves. Plants behave differently and we only moved four hundred kilometres. We are in the West now and the ground has changed from brown to green in a couple of weeks. What are the sheep eating? I have no idea. Rain is a god we now pay homage to. Inside is fun, too. Our plates look different and I can clean the house in a matter of minutes. Bonus. And the clothes dry in half an hour! That is the truth. Moving has its up side. This entry was posted in Uncategorized and tagged Corriedales, sheep. Bookmark the permalink.